New Yorker Roc Marciano has always been a rapper’s rapper. From his days as a member of Busta Rhymes‘ Flipmode Squad to his most recent releases, the emcee’s music has always put a special focus on style and technique. His verses, with their trademark assonant-heavy rhymes and lyrical dexterity, are the kind that would stun a hiphophead and an English professor alike. 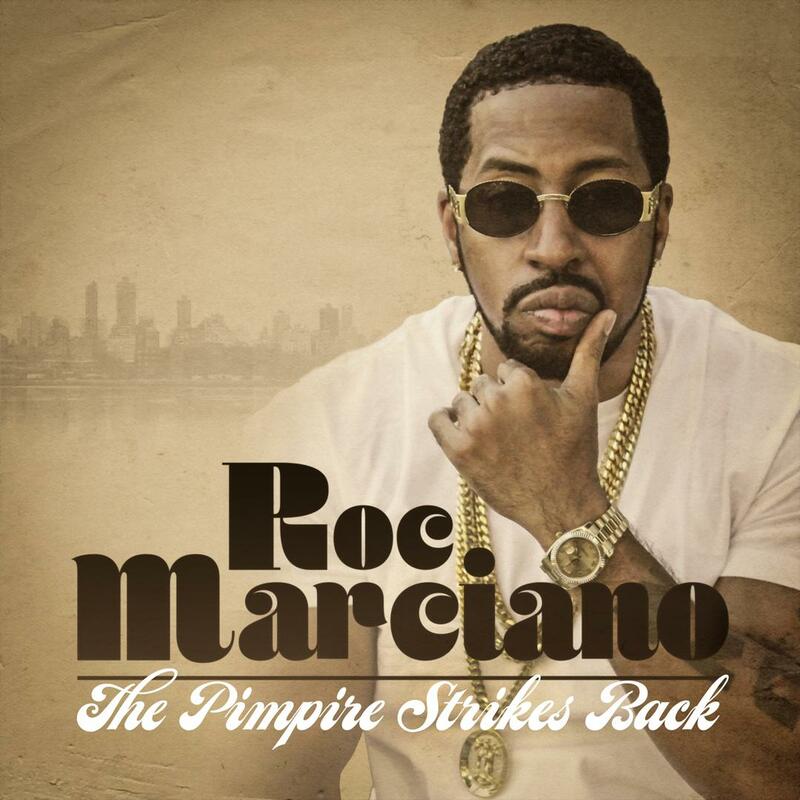 Roc’s 2013 mixtape The Pimpire Strikes Back, is yet another masterful demonstration of the rappers’ skill, adding another gem to his solid discography. Drawing influences from hardboiled crime fiction and classic Hollywood noir flicks, The Pimpire Strikes Back aims to offer a vivid cinematic experience in the way it portrays the life of a man caught up in New York’s gritty underbelly, living a life of luxury but also one of routine violence. The record’s dark world of smoky late-night jazz bars, dingy alleyways and lavish high-rise apartments is painted for us by Roc over grainy soul samples and slapping percussion using his signature slick, technical style of delivery. Sharp, inventive lyricism like “Have manners, don’t chew and talk/ The deuce talk, I’m too New York to not smooth-talk/ Lose nose turn Rudolph/ I’m clean enough to eat food off” punctuates almost each minute of the record – a testament to the thought and time Roc puts into his verses. This penchant for detail is also reflected in the album’s production, most of which is handled by Roc himself; the beat on each track is sparse but potent, aimed at lending an additional gravity to Roc’s words while also serving the record’s mobster aesthetic. The Pimpire Strikes Back, in all, is a smart and marvellously entertaining record sure to please fans of sleek and stylish hip-hop.